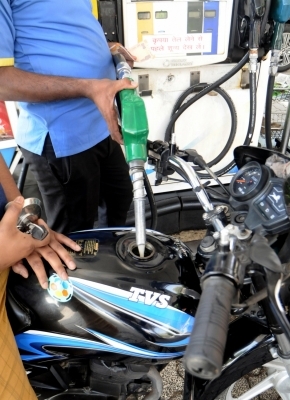 Kolkata Sep 15 (IANS) Demanding a price reduction for ethanol-blended petrol West Bengal Consumer Affairs Minister Sadhan Pandey on Saturday said the state would take steps to create awareness among consumers about the blended petrol being sold to them. "Petrol pumps must have displays informing customers that how much ethanol is blended with petrol. I have requested Indian Oil to put up such displays in its petrol pumps where ethanol mixed petrol is sold. This is to aware customers about what they are buying. Let the people have a choice " he said. Pandey also said pure petrol is being sold at an extra price in some of the petrol pumps. His comments came at a time when the price of fuel has been soaring in the domestic market. "Ideally price of the fuel should be reduced when the ethanol is being blended with petrol. Unfortunately it is not getting reflected in the price. I have written to the petroleum ministry raising the issue " he said on the sidelines of an event organised by the Merchants Chamber of Commerce and Industry. Ethanol being a hydroscopic product absorbs water and affects the mileage of the vehicle the minister said.